Karma, Contracts and Vows, Oh My! The two questions that come up most frequently in my 20 plus years of working with clients in the Akashic Records are about love and money. It’s no surprise that these two areas of life are among the most challenging we experience as humans. After all, overcoming challenges helps you learn and the whole reason our souls incarnate as humans is to learn and evolve our souls. And let’s be honest, most of us have over 400-800 lifetimes of learning because we don’t always get it right the first time. That’s where your karma, soul contracts and past life vows come into the picture. Contrary to popular perception, karma is not divine retribution visited on you by God. Karma is simply an unfinished lesson, from this or past lifetimes, that needs to be learned. A soul contract is an agreement you made as a soul with another soul or entity to have some sort of interaction or relationship to help you both develop but nowhere does it say “happy” relationship. And vows are very intense and strong promises that you made to yourself at some point in your souls history. All of your karma, contracts and vows are recorded and available for access in your Akashic Record. 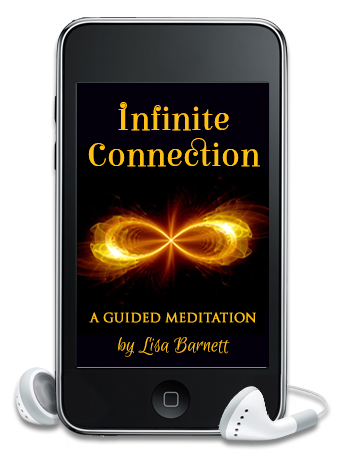 Understanding where these energies are at work in your life, can help you identify lessons that need to be completed in order to move beyond emotional pain, trauma and dysfunction and toward the divinely guided life you came here to live. Let me give you an example of each and how it might relate to your relationship or business. Imagine that you lived a lifetime in which you were an abusive spouse. Obviously, this is not your soul expressing itself in the highest and best manner. If you leave that lifetime without learning to have a relationship without expressing power and control in that way, you will still have a lesson to learn, or what we often call karma. In another lifetime, you may come back as the abused spouse to learn what it feels like to be hurt, controlled or overpowered. It’s your opportunity to resolve and overcome this issue. If you keep revisiting the same dysfunction in relationships, it is a strong indicator that you have karma that you are not working through. You may notice a pattern such as “always finding yourself in an abusive relationship”. Because there are many layers to any issue you may find your most important learning about Self-Love and forgiveness. The universe will continue to present you with opportunities to learn this lesson, because that’s what you, as a soul, asked for when you incarnated. Your Akashic Masters are available to show you what lessons you are working on and assist you to clear old blocks to get unstuck so you can move forward with greater ease. They are waiting joyfully to help you get off the karmic roundabout and onto your true soul’s path. Unlike karma, contracts are agreements you entered into voluntarily as a soul and, as such, they can often be re-written or even cancelled. Indeed, some contracts are not in alignment with your highest and best good and need to be voided. For example, you may have made a contract with another soul to always support them. Always lasts a long, long time for souls! This may have been appropriate when the soul was your handicapped child but maybe in this lifetime, that soul is your business partner. Maybe you find that in your business, you are contributing the majority of the work and your partner is taking most of the benefit and you feel powerless to change this. Once you understand that this old contract exists, you can choose to cancel the contract and allow that soul to go their own way. This of course includes the freewill aspect of choosing to dissolve your business partnership also. Through your Akashic Record, you can identify contracts, positive and negative, to help you understand why people are in your life and what you are here to learn from each other. Then you can make a new choice instead of feeling stuck and powerless, if that is the appropriate next step for you. Let’s not forget about vows, especially deathbed vows and how they can work extremely powerfully in our lives. A common vow I see among my clients is a vow of poverty. If you find it difficult to make or keep money, you may have had many lives of service as monks or nuns where you took a vow of poverty. Or you may have been someone obsessed with money who died rich but alone and vowed on your deathbed not to let money ruin your life ever again. If you struggle with loving relationships, you may have died of a broken heart and vowed not to ever let anyone have power over your heart again. Releasing these vows can free you to move forward and to create the life your heart and soul desires. We all came here to learn lessons, develop our souls and remember the divine beings we truly are. However, traveling in a human body can bring some heavy baggage that makes our lessons so much harder. By exploring your major challenges in life in your Akashic Record, you can understand and heal these roadblocks so you can progress joyfully and easily toward your soul’s purpose. Understand this so much better after the call. Thank you so much ! Thank you so much Lisa for this wonderful piece of article. 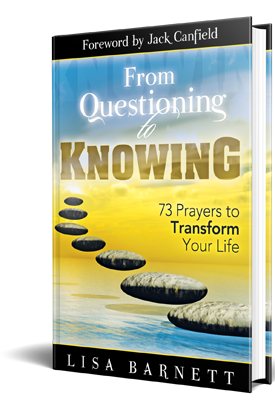 The information is presented with humility in a straightforward manner, and is precisely what is needed to transform our belief systems about life and ourselves. I’m most grateful. Thank you so much Lisa! Karma is complex and is often part of why we have challenges in life. Those challenges, struggles or block can point to lessons to learn or Karma. clear karma along with a lot of information and other prayers.